All majoring in Accountancy, my students had dreamy eyes when they set foot at, where else, the Accounting Office. Folks there inspired the kids. Present meets future. See, they even gave out souvenirs and candies… How sweet! At the Session Hall with Vice Gov. Angelo Barba who had a permanently plastered smile on his face. Having a feel of the Governor’s seat. 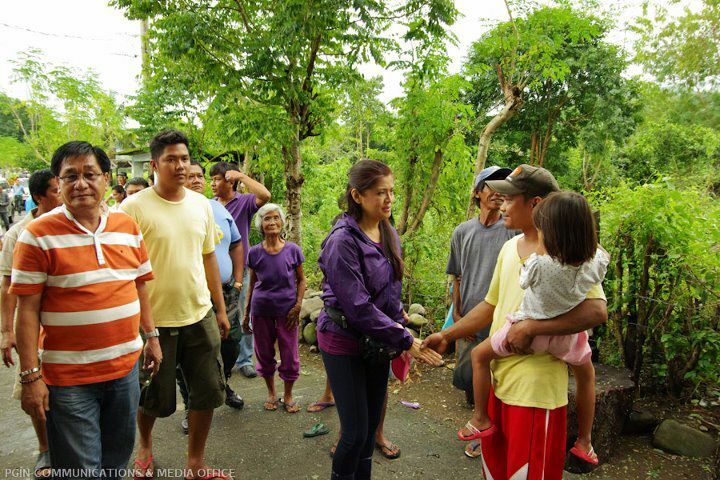 Wow, moments with Manang Imee..
Open Capitol: A blockbuster hit! I brought my kids to the Open Capitol activity held Feb. 2 in celebration of the 194th Founding Anniversary of the Province of Ilocos Norte. Eighty Accountancy Students enrolled in Sociology 1 (Society and Culture, which I teach) formed part of the estimated 7,000 visitors who trooped to the Capitol that day. The tour to the province’s seat of power was timely as we were just about to begin our classroom discussions on government as a social institution.